On BA (Hons) Hair, Make-up and Prosthetics for Performance you will learn research, design, technical and production skills. Experience is built across performance genres, giving students a broad choice of career. The only long-standing BA (Hons) Hair, Make-up and Prosthetics course in London. Access to highly-qualified technicians who teach a variety of specialist skills. London location at the heart of the performance industry. Introduction to Design for Performance unit aims to introduce you to your course and its subject specialism as well as to effective learning and studentship at undergraduate level. It will orientate you to the practices and knowledge-base needed to understand your discipline and help you to develop your skills for independent & collaborative learning, reflection and your own self development. Students come from many diverse educational backgrounds and a part of this unit will enable to reflect on your own background and how that shapes the way you approach your course. Introduction to Hair, Make-Up and Prosthetics unit will introduce you to some of the fundamental principles and techniques in wide range of hair and make-up applications. You will be required to research and record processes and exploration of techniques and approaches in a visually appropriate and informative way. The unit encourages your development in technical areas underpinned by an understanding of the principles of make-up, prosthetics, hair and wig technical processes as well as creative approaches to enhancing or altering the performing body. You will develop an understanding on how basic techniques can be used creatively and will be encouraged to develop an enquiring approach to the technical development of make-up and hair for performance. Introduction to Cultural and Historical Studies unit introduces the Cultural and Historical Studies approach to fashion and related areas. The unit provides a broad overview of the subject and introduces key concepts and ways of thinking that will form the basis of subsequent study. It will also inform decisions regarding the Cultural and Historical Studies unit that is chosen for future study. Collaboration One: Design & Production unit will provide you with an opportunity to demonstrate the progress you have made over the previous block, and will enable you to integrate knowledge and principles learned to date, it will also extend other areas of craft skill and design. You will undertake research, design development and presentation principles within a collaborative project, working with students from across the Performance Programme. Working together, you will design and realise characters from a script or text. Your characters will exist within an agreed group designed aesthetic. Through the application of 2D and 3D approaches and for Hair, Make-up and Prosthetics students, this should include the development and realisation of a character using appropriate materials and techniques learnt in both hair and make-up and be suitable for the group aesthetic. 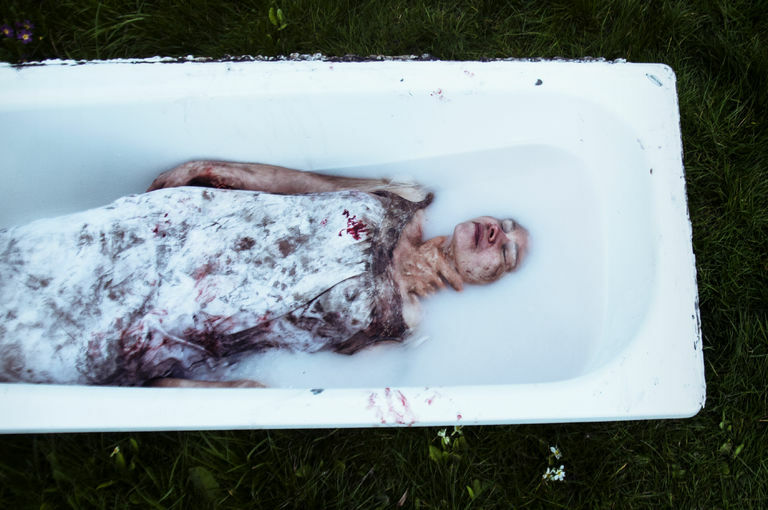 You will be encouraged to take an innovative approach to the realisation of your work using both experimental and traditional methods for a contemporary performance context. You will study a Cultural and Historical Studies unit of your choice that will broaden or deepen your learning of areas relating to your interests in your chosen field. You will have the opportunity to participate in lectures, seminars and workshops with students from other courses within your School, and will read relevant academic texts and complete a formal academic essay for assessment. Core Skill: Character and Design Development unit will introduce you to the contexts relevant to the research, design, hair and prosthetics processes for historical period productions. It will develop an awareness of research as the basis for creative design development and establish the relationship between research, design and realisation. You will research, develop and design for performance responding to a given narrative. The unit encourages development in technical areas underpinned by an understanding of the principles of prosthetic and wig production for character design and realisation. 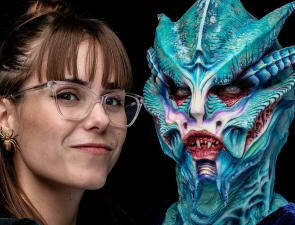 You will develop an understanding of how basic techniques can be used creatively and will be encouraged to develop an enquiring approach to the technical development of a creative character make-up design for a specific leading actor. This unit aims to develop your practitioner identity, and consider your personal manifesto for performance, by completing a performance proposal for a performance event around a location, and stimulus of your choosing. This unit brings together the technical skills that you have developed and asks you to now take them further in a performance context. It will allow you to expand your understanding of the work of practitioners who you find useful, inspiring, and interesting, before then applying that knowledge in the creation of your own performance event. Industry PlacementThis unit aims to develop your professional skills within an industry environment. On your placement you will be able to experience the pace, atmosphere and discipline of working in the industry. This will give you practical experience of the roles, functions and operations within the industry. The unit requires a minimum of 60 work placement hours. During the Collaboration Two: Interdisciplinary and Experimental unit you will collaborate with other students to design and realise characters for a narrative. Working in a small group you will choose a context for the performance. You are encouraged to look at a context you may not have designed for previously, such as film, television, dance, theatre, opera, music video, advertising or fashion film. You are encouraged to collaborate with performers and students from other disciplines. The overall aim of the dissertation is to provide an opportunity for you to demonstrate your understanding of the critical and analytical perspectives developed within cultural and historical theory and your ability to apply those perspectives in a specific study. You will research a topic of your choice that has relevance to the discipline of cultural and historical studies. This may relate to your course discipline, and should elaborate knowledges developed in prior cultural and historical studies units. You will undertake a substantial piece of structured primary and secondary research that critically engages with cultural issues relating to fashion, the body, performance, or the media and communications industries and which reflects on the critical debates and concerns addressed in your course. Innovation and Design unit requires you to identify an area of personal interest and to then investigate, research and experiment to develop your concept and designs for realisation in the following Personal Performance Project unit. You will demonstrate your skills in the creation of an extensive body of work to show development and experimentation. You should consider theoretical and professional contexts of your project, and the surrounding industries, to develop your chosen narrative and performance context. You will develop an appropriate methodology and have the opportunity to explore new ideas, processes, take risks and experiment with design and production values, working to an intended performance location and audience. The way that you structure your innovation and design work within this unit is up to you; for example, you may choose to focus on one line of enquiry, or explore a range of research and design avenues and methods. Building on your previous design portfolio created for the Innovation and Design unit, you will now execute the realisation of your designs. You will test your ability to respond innovatively to the challenges involved in your chosen performance context. This is an opportunity to demonstrate your specialist technical skills and specific interests through your individual body of work. This unit will enable you to realise a personal response to your concept. The structure and outcome of your project will be determined by you. You will identify and construct individually negotiated outcomes to communicate your concept towards your chosen audience. Modelling your Future unit will prepare you for a number of future employment or postgraduate opportunities. It will expand upon your ability to articulate your practitioner identity. You will reflect upon your professional and/or academic goals after having completed your Personal Performance Project to help you to position yourself creatively and to now construct your industry portfolio accordingly. This unit requires you to evaluate, restructure, and position your work effectively as you create a professional roadmap to your chosen future career. The Performance courses share an excellent range of facilities across the programmes, including a wig-making and hair styling studio, prosthetics and make-up studios with live ‘camera to TV’ link, a suite of specialist rooms for casting and mould making, plaster, fibreglass, latex, silicones and other resins, a sculpting studio, and several costume-making studios with pattern cutting tables, overlockers and industrial sewing machines. Students also have access to a large VAC former, laser cutter, print and dye room, a large spray booth, and additional access on site to design studios and IT suites. 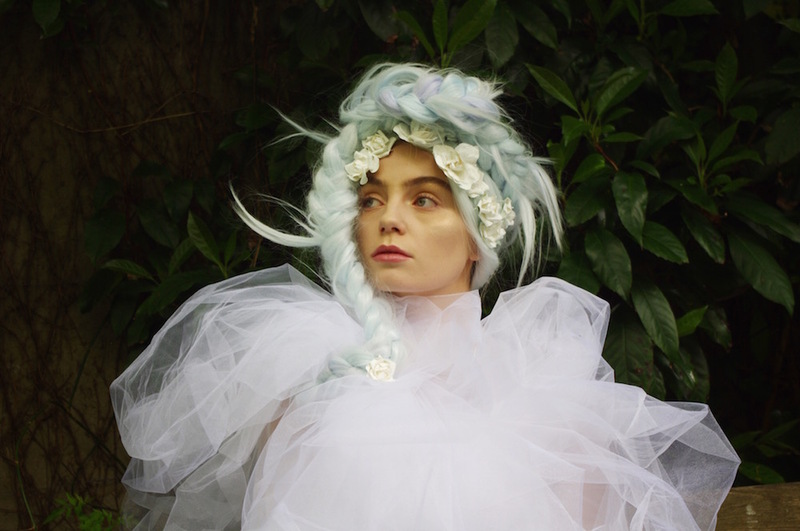 Cecilia Pritchard, course leader, is an LCF alumni, and contributes with a diverse portfolio, academically and hands-on, in hair, wigs, makeup and prosthetics in film, TV, theatre and fashion. Her work stretches from Sweden, Denmark, the UK and East Asia. Working five years at the Royal Opera House in Covent Garden, Cecilia has worked closely with top international opera singers and costume designers on productions such as Madam Butterfly, Magic Flute, La Boheme, Tosca, Aida, Othello, Salome and many more. For 4 years Cecilia worked as a hair and make-up lecturer at Hong Kong Design Institute (HKDI) where she also established many international connections. Steven Solomon graduated in 1990 and has worked across a range of industry areas. He started out specialising in body painting, air brush body art and cosmetics. Work includes promotional events for Aida, The Lion King, Velvet Goldmine. Interview with a Vampire, Reebok, Adidas and Su-do. 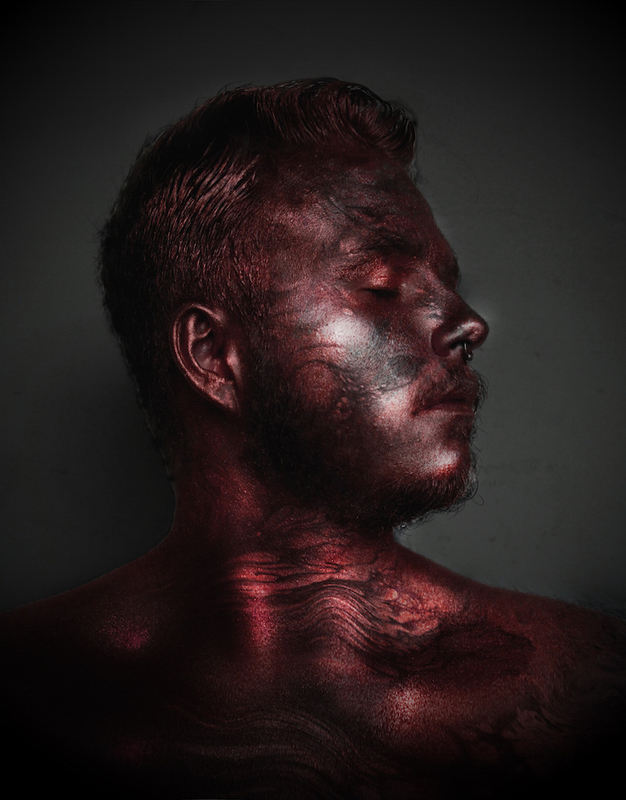 His development work includes MAC airbrush body paint and cosmetic ranges. Fashion shows include Alexander McQueen, Hussein Chalayan, Evisu, Belstaff and Mulberry. Catwalk events include the MOBO awards, Fashion Rocks, Alternative Hair Show, Pantene Beauty. 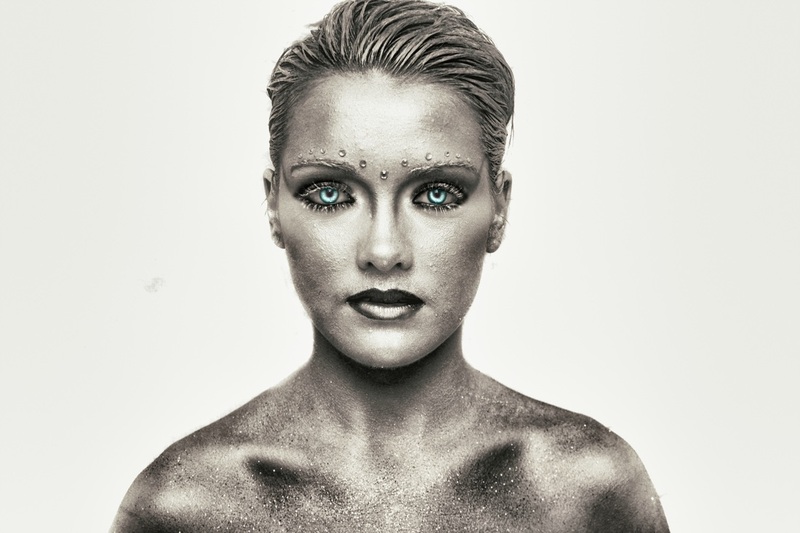 Promotional/editorial experience include Levi’s, Aveda, Toni & Guy, Cyberdog, Coco de Mer. His teatre work ibcludes La Cage Au Folles, The Turn of the Screw, Michael Clark at the Barbican and World Theatre at the Millennium Dome 1999. Music promotion/video experience include MTV, Cher, George Michael, The Cure, Enya, Tricky and The Prodigy. Advertising: BMW, Evening Standard magazine, Admiral, Direct Line, Alfa-Romeo. He has taught make-up for 22 years for London College of Fashion, Face Stockholm, Jemma Kidd Make-up School, and MAC and completed a PGCE in 2000. Jessica Curtis trained at the Motley Theatre Design Course after training as an illustrator at the University of Brighton. She has designed for film, opera, dance and theatre both here and in Scandinavia over the last 20 years. She is currently designing the Premier of Genesis inc. at Hampstead Theatre. Recent work includes Uncle Vanya (The Almeida) Villette (West Yorkshire Playhouse), The Holy Rosenbergs (National Theatre), Hotel Cerise (Theatre Royal, Stratford East) Another Door Closed (Theatre Royal Bath), Endgame (Liverpool Everyman), Dangerous Corner (West Yorkshire Playhouse and West End),Frankenstein (Frantic Assembly, Northampton), Burial at Thebes (Nottingham Playhouse/Barbican/US Tour) and RHAPSODY (Royal Ballet at the Royal Opera House) One for the Road, Glass Cage, Follies (Royal and Derngate, Northampton) The Ryme of the Ancient Marina (Southbank Center/ Young Vic). She has also designed the Grosvenor Park Open Air Season 2013- 2016 and the opening season at the new cultural centre Storyhouse, as well as bar interiors for Underbelly at the South Bank and Hyde Park and Leicester Square. She has taught and designed at Central School of Speech and Drama, RADA, Guildhall, Trinity College of Music, Birkbeck and RSMAD. Lorna Campbell, alumni of the course and now a lead wig designer and creator of wig-making collective Campbell Wigs. Alongside designing and making wigs and facial for stage, screen and bespoke hair loss clients, Lorna, and her team, deliver wig making workshops to industry professionals in locations such as London, NYC, LA, Atlanta GA, and Bahrain. After graduating from The London College of Fashion, Lorna originally worked as a makeup artist and theatrical makeup lecturer at The City of Bristol College before focusing on wig design, making and educating. Alongside regular high-profile clients, work includes Idris Elba, Peter Serafinowicz, Jeff Waynes War of the Worlds, Jon Culshaw (as Donald Trump), MTV, Warner Bros, ITV, Showtime and the BBC. Lorna's teaching methods focus on delivering the fundamental traditional wig-making techniques necessary for students to take their artistry and passion further throughout their career. Karl J. Rouse trained as a performer at The Royal Academy of Dramatic Art, and later moved into Performance Studies as a Fulbright Scholar (representing the UK government under Tony Blair) at The Tisch School of The Arts, New York University. Here he studied directing under Richard Schechner and Anna Deavere Smith and performed in the ‘downtown’ experimental scene in venues such as PS122, La Mama, and St Annes Wearhouse. Karl has represented the Performing Arts for the Fulbright Commission at The White House, Downing Street and in the House of Lords. He was awarded a Royal Holloway, University of London, scholarship in 2003 and studied customer service and organisational loyalty with The Disney Institute in 2006. As a producer, Karl has served as executive director of The Accidental Festival (The Roundhouse, The ICA, Battersea Arts Centre) which has included the work of Liz LeCompte, Simon McBurney, Richard Foreman, Katy Mitchel, Felix Barret and Tristan Sharps. Karl is a fellow of The Royal Society of The Arts, and The Centre for Excellence in Training for Theatre, where he focused upon the role of The Entrepreneurial Artist. This led to presentations at The Fulbright Conference in Beijing, the European League of Arts Institutes (ELIA) in Amsterdam, and The International Entrepreneurial Educators Conference (IEEC) in Sheffield. Karl was also the first director of performance at Capital City Academy, and an assistant principal within the Studio School Trust. He has therefore developed new curricula in new buildings for students aged 12 to 18, and 18 and above. For ten years he was a senior lecturer and pathway leader at The Royal Central School of Speech and Drama, University of London and has previously served as external examiner at The National Centre for Circus Arts. Recently he has become a mentor for The Leadership Foundation, specifically working with BAME Academics seeking to move into senior leadership positions. He is a mental health first-aider and has an interest in Mindfulness in Education. Depending on the quality of your application, you may be asked to submit a number of images of your work. For this course your portfolio should show evidence of: drawing skills; life drawing; research skills; process; 3D; photography; and vocational skills. Many graduates prefer to seek employment as soon as they have completed their undergraduate studies, and recent graduates have been employed on the Harry Potter films, Slum Dog Millionaire, Jane Eyre, War Horse, and Pirates of the Caribbean: On Stranger Tides. TV productions include Just William, Luther, Hotel Trubble, Secret Diary of a Call Girl and The Hour, and our graduates are working at the Royal Opera House, the English National Opera and the National Theatre, as well as on a number of West End musicals. One recent graduate is working for the medical prosthetics company RSL Steeper.